William T. (Billy) and Nellie Francis were “The Golden Couple” in Ramsey County in the 1920’s. They were good-looking, intelligent, successful, and committed to Civil Rights both here and abroad. Then they went to Africa, and things went terribly wrong. Paul D. Nelson will present the story of their lives and influence as African-Americans in Ramsey County and in the then-new country of Liberia in Africa. Paul D. Nelson is an author and historian. 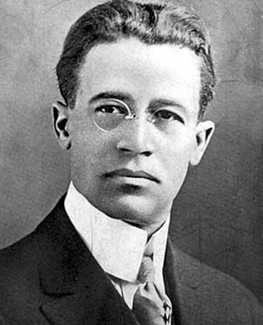 He is the author of numerous articles for Ramsey County History magazine, and Fredrick L. McGhee: A Life on the Color Line 1861-1912, published in 2002. Please join RCHS and Paul D. Nelson on March 16 for this fascinating discussion on this little-know story of two influential leaders in Ramsey County.